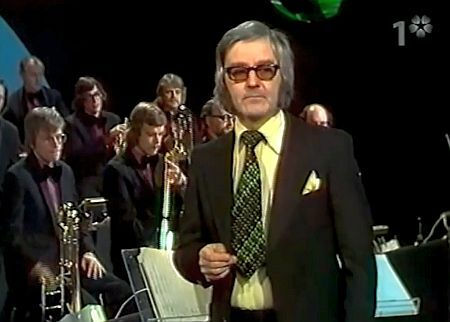 As an arranger and conductor, Mats Olsson was involved in many Swedish Eurovision pre-selections in the 1960s and 1970s. 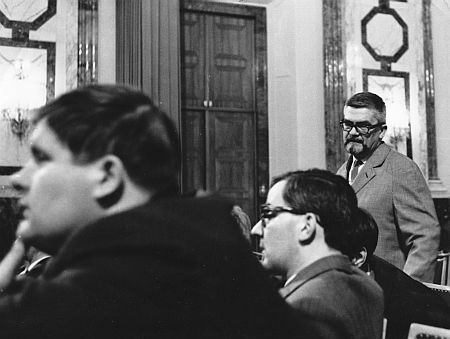 He arranged the 1961 and 1963 Swedish entries, ‘April april’ and ‘En gång i Stockholm’. 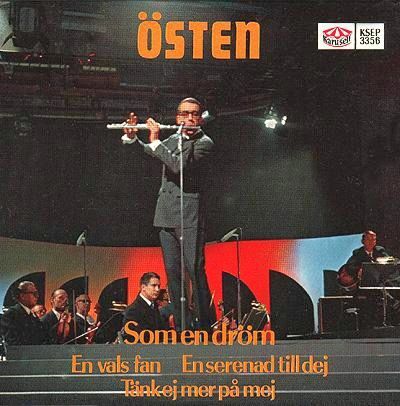 Later on, he conducted three other songs which represented Sweden in the Eurovision Song Contest: ‘Som en dröm’ for Östen Warnerbring in 1967, ‘Det börjar verka kärlek, banne mej’ for Claes-Göran Hederström in 1968, and ‘Härliga sommardag’ for Family Four in 1972. 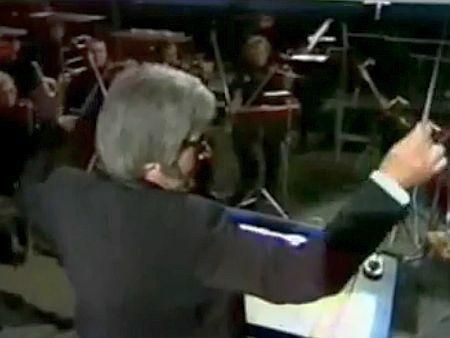 In 1975, Olsson was the musical director of the first Eurovision Song Contest final which was held in Sweden, but he did not conduct any of the competing entries that night. Already as a youth, Mats Olsson was fascinated by music, varying from the modern classical composers, such as Britten, Hindemith, and Stravinsky, to jazz and big band music by Glenn Miller, Artie Shaw, and Duke Ellington. When, during a music lesson in grammar school, his teacher discovered he had absolute pitch, Olsson started thinking about making a living out of music. Aiming to be a church organ player, he entered the Royal Academy of Music in Stockholm in 1947, where he studied the organ, piano as well as classical singing, counterpoint, harmony, orchestration, and conducting. In 1950, however, Olsson, realizing that life as an organ player or music teacher was not his ‘cup of tea’, decided to leave the conservatory to pursue his studies with several private teachers; until the middle of the 1950s, he was trained further in the piano, singing, counterpoint, and orchestration, whilst also taking composition and violin courses. The most prominent amongst Olsson’s teachers was composer Hilding Rosenberg (1892-1985). 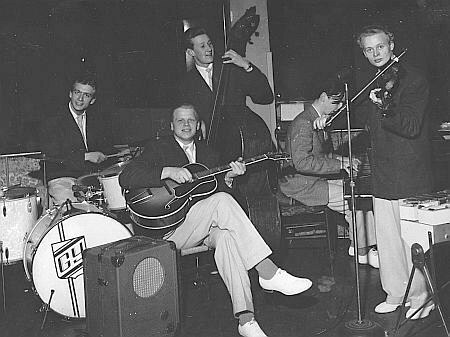 In the late 1940s, Olsson formed a band of his own. 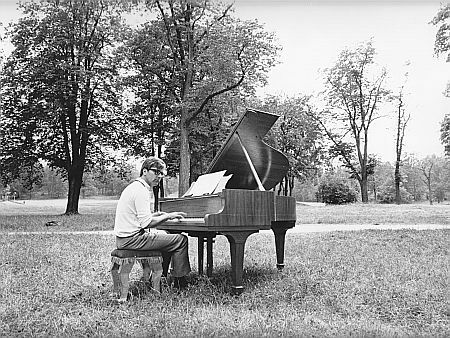 Later onwards, he played the piano in the Stockholm-based entertainment orchestras of Arthur Österwall, Carl-Henrik Norin, Gösta Törner, and Seymour Österwall, with which he played in the capital’s dance palaces, bars, and restaurants, while he went on tour with them to play in open-air folkpark concerts across the country during the summer months. 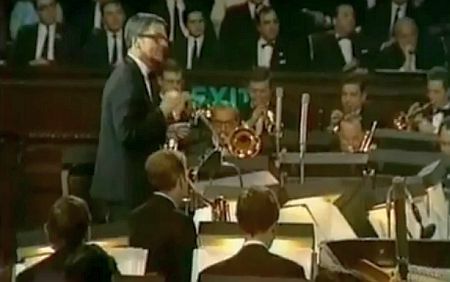 Most importantly, between 1954 and 1957, Olsson was a member of the big band of Thore Ehrling, who, originally a trumpet-player, was amongst the best-known orchestra leaders of the country. His ensemble included some of the finest jazz musicians in Sweden, including saxophonist Harry Arnold. Ehrling’s band did not only play in bars and open-air festivals, but also worked extensively for Swedish Radio (SR). In 1957, by virtue of his well-liked arrangements for Thore Ehrling and several other orchestra leaders, Mats Olsson was offered the position of staff arranger with Grammofon AB Electra, which was the largest record company in Sweden at that time; it represented major foreign labels including RCA Victor, Decca, Telefunken, Disques AZ, A&M, and Reprise. Olsson’s first and foremost duty was to arrange the music to the songs recorded by Swedish artists contracted by Electra. He made his first recording in ’57 with crooner Lars Lönndahl and ‘Kärleksbrev i sanden’, a cover of Pat Boone’s success ‘Love letters in the sand’. In subsequent years, Olsson and Lönndahl further exploited their partnership with new versions of other international hits, such as ‘Piccolissima serenata’, ‘Piove’, and ‘Midnattstango’ (the Swedish version of ‘Tanze mit mir in den Morgen’), all of which were domestic bestselling single releases. 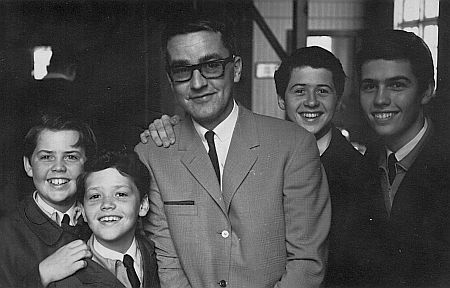 In the 1960s, Olsson also worked in the recording studio with, amongst others, Towa Carson, Family Four, and actor-singer Jan Malmsjö. 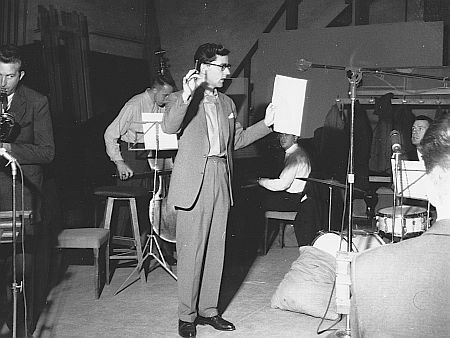 Besides his work as a musical director for other artists, Mats Olsson also released many instrumental records with studio orchestras, the first of which was ‘With love from Sweden’ (1958). Globally published by RCA Victor, this LP turned into a major international success. Many solo recordings followed, including ‘Strö lite rosor’ and ‘Swedish brass’. In 1964, Olsson again managed to make his mark across the borders of Sweden, recording ‘Lappland’, a re-arranged version of the American traditional ‘Glory land’. Between 1961 and 1964, Olsson combined his work for Grammofon AB Electra with being the musical director of the Stockholms Stadsteater. This involved composing music for theatrical performances of many different kinds, such as musicals (e.g. ‘Lax, lax, lerbak’), vaudevilles (e.g. ‘På vift i Wien’), and comedy plays, including ‘Trettondagsafton’, a translation of Shakespeare’s ‘Twelfth night’. Olsson’s relatively small oeuvre as a composer further comprises the ballet ‘The shooting of Dan McGrew’, orchestral works such as ‘Riksväg 13’ and ‘Tunnelbanepolka’, as well as music for films such as ‘Tre önskningar’, ‘Lockfågeln’, and Ingmar Bergman’s ‘En lektion i kärlek’. 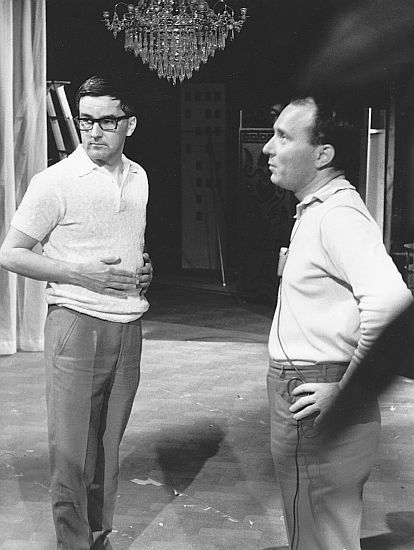 From the early 1960s onwards, Mats Olsson became involved in Swedish television as an arranger and musical director, working on approximately two-hundred different programmes spread over a period of three decades. Olsson has fond memories of ‘The Hoagy Carmichael Story’ (1968), a musical tribute which featured Carmichael himself as well as Svend Asmussen, Sonya Hedenbratt, and Arne Domnerus. 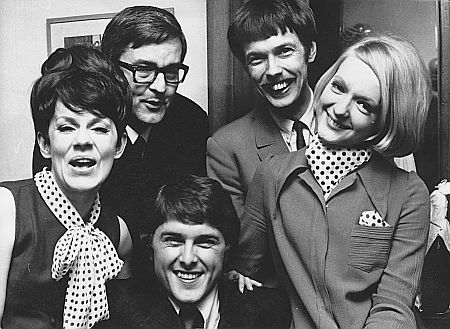 He also worked on a series of five programmes in memory of songwriter Jules Sylvain in 1969, ‘Räkna de lyckliga stunderna blott’, featuring young and promising artists such as Agnetha Fältskog, Anni-Frid Lyngstad, Mona Wessman, Björn Ulvaeus, and Björn Skifs. 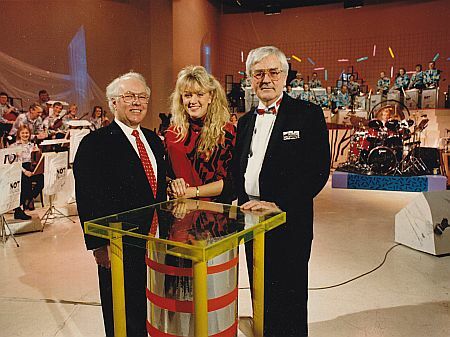 The best-remembered of Olsson’s TV appearances is doubtlessly the entertainment quiz ‘Notknäckarna’, which ran for five seasons between 1981 and 1990 and comprised forty broadcasts in total; Olsson arranged every single note for these programmes and led a live orchestra consisting of forty musicians, accompanying virtually all important vocalists from the Swedish pop music spectrum. 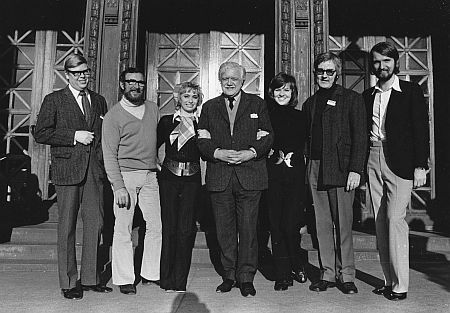 Other programmes, to which Olsson contributed, include ‘Melodier i Norden’ (1967), the quiz show ‘Dra en låt’ (1977), and ‘Glada gamla Berns’, a live show on location celebrating the 100th anniversary of the legendary restaurant Berns in Stockholm (1982). In 1985, Olsson was the orchestra leader of the televised gala ‘Honnör för radion’, which celebrated fifty years of Swedish radio. 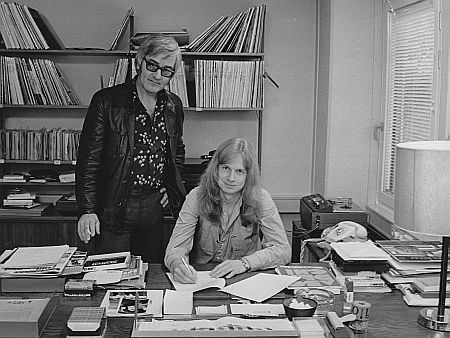 In 1977, Olsson left CBS to set up his own record label, Planet Records, as well as a publishing company, Planet Music. Planet specialized in children’s repertoire, most importantly the duo Trazan & Banarne, Klasse Möllberg & Lasse Åberg. Their 1977 LP ‘Sångtajm med Trazan & Banarne’ sold 180,000 copies – thus giving Olsson’s label a kick-start. 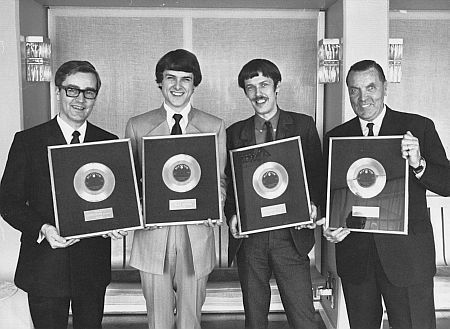 Other acts contracted by Planet Records included Hansson de Wolfe United, Drifters, and Peter Lundblad. Moreover, using his contacts from the time he worked for CBS, Olsson managed to obtain licenses to represent foreign music labels in Sweden; this led to the release of LPs by Eddy Grant, The Pet Shop Boys, Black Sabbath, and several other international acts on the Planet label. In 1995, Mats Olsson sold Planet Records, holding on, however, to his publishing company. Since, he has continued working as an arranger for brass bands and orchestras in Sweden, Norway, Denmark, and Germany. 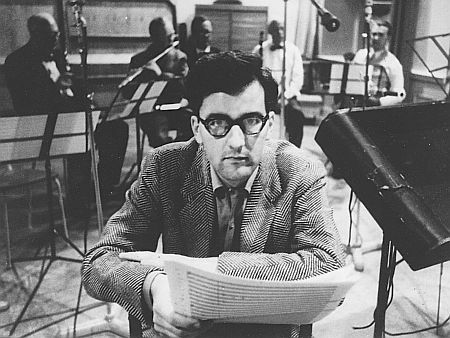 One year later, in 1966, Mats Olsson was amongst the conductors in the Swedish pre-selection again. He conducted no fewer than six of the competing entries, sung by Ann-Louise Hansson, Svante Thuresson, Gunnar Wiklund, and Carli Tornehave (the two last-mentioned artists were in the competition with two songs each). The winning entry, however, was ‘Nygammal vals’, composed and arranged by Bengt-Arne Wallin and conducted by Gert-Ove Andersson. Performed by Lill Lindfors and Svante Thuresson, this composition managed to do very well internationally, finishing in an unprecedented second place behind winner Austria. 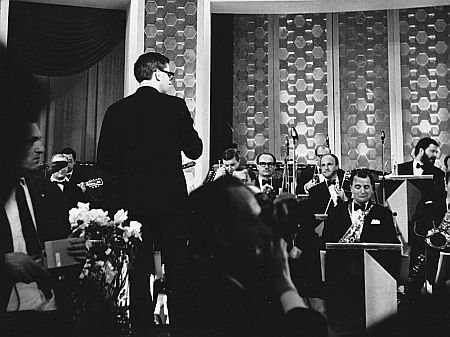 In the years after, Mats Olsson’s involvement in the contest was limited to conducting one entry in the Melodifestival, Sten Nilsson’s ‘Gång på gång’ (1969). It was only in 1972 that he returned as a conductor in the Swedish finals – and how! He waved the baton for the songs that finished first and second, Family Four’s ‘Härliga sommardag’ and Östen Warnerbring’s ‘Så’n e’ du, så’n e’ jag’. After that, he accompanied Family Four to the Eurovision Song Contest final in Edinburgh, Scotland. In spite of the charming song and Family Four’s attractive performance, Sweden finished a mere thirteenth amongst eighteen competing countries. Mats Olsson conducted on two more occasions in the Melodifestival, in ’74 with Lena Ericsson’s attractive ballad ‘En enda jord’ and in ’79 with Timjan and the original rock tune ‘En egen fela’ in 1979. Timjan included Mats’ son Peter and two other family members. At the request of his son, Olsson wrote a string arrangement and conducted the orchestra during the group’s performance. Unfortunately, Timjan failed to make an impression, finishing second from bottom. Without being mentioned in the programme itself, Olsson contributed to the 1996 Melodifestival by writing the orchestration to ‘Förlorad igen’, with which Mårten Eriksson came fourth. Bas Tukker interviewed Mats Olsson, December 2010. Thanks to Claes-Göran Hederström for adding his memories. More information about Claes-Göran Hederström can be found on his website, www.claesgoranhederstrom.com. The best source of information about the Melodifestival and probably the best book ever published about the Eurovision Song Contest: Leif Thorsson, “Melodifestivalen genom tiderna. Århundradets svenska uttagningar och internationella finaler”, Stockholm (ed. Premium) 1999 (first edition). All pictures courtesy of Mats Olsson, except for the photo showing Olsson with Peter Himmelstrand, Towa Carson, Mona Wessman, and Claes-Göran Hederström (picture courtesy of Claes-Göran Hederström). Many thanks to Mats Olsson and Claes-Göran Hederström for providing us with these priceless images. Unfortunately, no website on Mats Olsson exists.